The noise coming from inside Harvard University's Newell Boathouse resonates through the buildings' walls and can be heard in the parking lot over the noise of the January Saturday morning traffic on Storrow Drive. To anyone familiar with the sound of a crew team ripping pieces in unison on 45 ergs, the noise is instantly recognizable as a full-on winter rowing practice. Just inside the front door, the racket gets so loud it mutes everything else going on in the building. The sound is coming from the top floor of the storied Charles River boathouse, where every erg in the room is taken, and a handful of the 54-man Harvard lightweight roster is riding bikes in the back. These are not the sights and sounds of fading tradition, or a disappearing sub-category of a sport - specifically lightweight rowing. "I think it's pretty awesome," said senior captain Andre Dupuis. "Saturday mornings are probably my favorite part of the weekend. We usually do more of our speed work on a Saturday morning. "So, for me, having the entire team there, we're all just getting through the work out, having a great time, turning on some music, and it's nice to have that energy in the boathouse because I think people are excited to be there." Through most of the winter and into the early spring, in the boathouses of the schools that compete in the Eastern Sprints league, the scene inside Newell is the pretty much the same: rooms full of ergs jammed wall to wall with more lightweight athletes than there are seats in the boat bays. At these boathouses, there is no shortage of athletes competing for a spot on one of the most competitive racing categories in collegiate rowing. While the sustainability of lightweight rowing is being questioned on the junior and international levels, and the overall number of lightweight programs in the US is relatively small and concentrated, collegiate rowing in the Eastern Sprints, perhaps the last bastion of lightweight rowing in the United States rowing, is holding fast. "From my perspective, in the 10 or 15 years I've been around the EARC (Eastern Association of Rowing Colleges), the Sprints are as healthy as ever," said Harvard lightweight men's coach Billy Boyce. "You know, we're putting six eights out there in some of these events. I mean, my roster is enormous." At Princeton University, two-hundred and sixty-five miles South of where Boyce was overseeing that Saturday morning practice, the situation is the same. "My roster is at a high-water mark and has been the last three or four years even to the point that this year, I am not able to get everybody out," said Princeton University men's lightweight coach Marty Crotty. "I actually determined I needed to be smaller. Everything we do has to be at a varsity standard and my roster was bloated to the point where guys were coming down here and working hard every day, but maybe some of it wasn't at a varsity standard. "I only have so much staff, and so many resources to go around," Crotty said. "To be fair to everybody, we've gotten smaller. From a numbers standpoint, there are no problems here. At the beginning of the year I had seven-plus eights. I could have put out seven lightweight eights every day." The situation is similar among the women's lightweight programs, where the number of programs is small, and none are NCAA teams (the NCAA does not have a lightweight category), but the program rosters are solid. In the half-dozen programs that do offer women's lightweight rowing, the numbers are equally healthy - Harvard-Radcliffe, Boston University, Stanford University, University of Wisconsin, Princeton, MIT, Georgetown University - all have rosters of 25 to 35 depending on the season. Additionally, programs like the University of Tulsa or Bucknell that row in lightweight events as part of their overall women's programs, have enough lightweight athletes on their rosters to make both sculling and sweep rowing a viable option to compete at the IRA Championships. "At Wisconsin, there's still a lot of support for continuing to fuel the lightweight program," said head coach Dusty Mattison. "I can't speak for other programs, but our numbers are pretty much consistent every year." Certainly, the number of lightweight athletes rowing in college is dwarfed by the numbers of open weight athletes. Just the list of programs that offer lightweights tells the story. Of some 174 schools that offer crew on either the varsity or club level, there are 16 men's lightweight programs and a half-dozen women's lightweight programs, with another five women's programs that boat lightweights regularly for a total of about 11. The biggest programs exist in the EARC. Other large men's lightweight programs exist outside of the Sprints league including Mercyhurst University and the University of Delaware, while other schools boat lightweights as either part of their program or to race in a specific regatta, like the Dad Vail in Philadelphia. Lightweight rowing was never intended to compete with the numbers of heavyweight rowing teams, but was begun and continues to exist as a category intended to suit athletes of a specific size. As Cornell men's lightweight coach Chris Kerber puts it: "The mission when lightweight rowing was created was to have an alternative to heavyweight rowing. That's it. It wasn't about making a national team, wasn't about making the Olympic team, or representing your country. It was just about an alternative." Collegiate lightweight rowing has enjoyed a successful tradition in the US and consistently features some of the most competitive racing across the line in many regattas. Having every athlete in every boat weighing almost exactly the same creates a fairly even playing field. Intercollegiate Rowing Association (IRA) commissioner Gary Caldwell has been involved lightweight rowing since he was an undergraduate at Yale University in 1968. In his opinion, lightweight racing is among the most competitive throughout the EARC, because of the size parameters that govern the sport. "It's been that way for at least the last 10 years, I think. And part of it is because, whether you follow USRowing's lightweight rules or the IRA and EARC's rules, it's like sailing where everybody uses the same equipment - except in this case, everybody's using the same size athletes. "So at 3:00 on the Saturday before the Eastern Sprints, when all of those athletes weigh in, whether it's varsity to fifth varsity, they all fit the formula at that moment in time. For the men, those eight guys have to average 155 or less, and nobody can weigh over 160. And that's a great leveler." There are no arguments that the existence of lightweight rowing is in question. In the US, a proposal to increase the weight of junior lightweight men that was first approved in December by the USRowing Board of Directors, and then overturned a week later, has resulted in a debate centering on the safety of junior rowing lightweight, including discussion whether the category should even exist at the junior level. On the international level, after the removal of the men's lightweight four following the 2016 Olympics, only the men's and women's lightweight doubles will be on the competition schedule for the 2020 Games. Lightweight rowing at the World Championships includes both sculling and sweep events, but the sweep events at World Championships have definitely been impacted by the elimination of the men's lightweight four from the Olympic program. And the once highly competitive lightweight men's eight? That is now just a memory. On the collegiate level, while the Sprints league appears to be thriving and will continue to thrive because of strong support and funding from both those schools and their alumni organizations, the heyday of collegiate lightweight rowing outside of the EARC has come and gone. Look no further than the entries of the Dad Vail Championships over the last four decades: In 1974 there were 27 entries in the men's varsity lightweight eight event; in 2017, there were six. In the women's varsity lightweight eight, there were six entries in 1986, the first year for the event. The numbers grew to 17 entries by 1994, but fell to only three last year. The number of lightweight fours saw similar decline, but remain sufficient to have two finals. There were 39 men's lightweight varsity fours entered in 1990, and 13 in 2017. In the women's event, the peak came in 1992 when there were 26 entries. Last year, there were eight. The reasons for the diminishing number of lightweight teams can include both the result of the increased costs of managing lightweight events at regattas and in schools, the question of safety, and shrinking collegiate sports budgets overall. That has impacted even schools within the EARC. Rutgers University at one time featured one of the most successful rowing programs in the Sprints league, but despite the backing and support of their alumni association, rowing was eliminated as a varsity sport after the 2006-2007 seasons, including the lightweight men's team. Schools that have varsity teams can provide the kind of nutritional support and guidance necessary to help ensure student athletes are not dangerously cutting weight. And teams that compete in well-funded leagues, like the EARC, can help offset the costs of having lightweight events. But club programs do not always have the support of a university athletic department and medical staff, and the costs of managing lightweight events can be burdensome for a large regatta like the Dad Vail. John Musial, a USRowing referee who also sits on the boards of both Dad Vail and Scholastic Rowing Association of America, knows how the costs of having lightweight events impacts a regatta, and has seen the decline of the lightweight divisions among the Dad Vail schools. "There are a handful of schools on the men's and women's side who row lightweights," Musial said. "The numbers in the Sprints league are there, but look past the IRA schools, look how many schools are rowing lightweights, and there are not a lot of them. "There's not many at ACRA, there's not many at Dad Vails. The fours are ok, but there ares no eights, hardly. The women's eight doesn't even fill anymore," he said. "In the 80s there were probably about 100 to 110 schools rowing lightweight at Dad Vail. 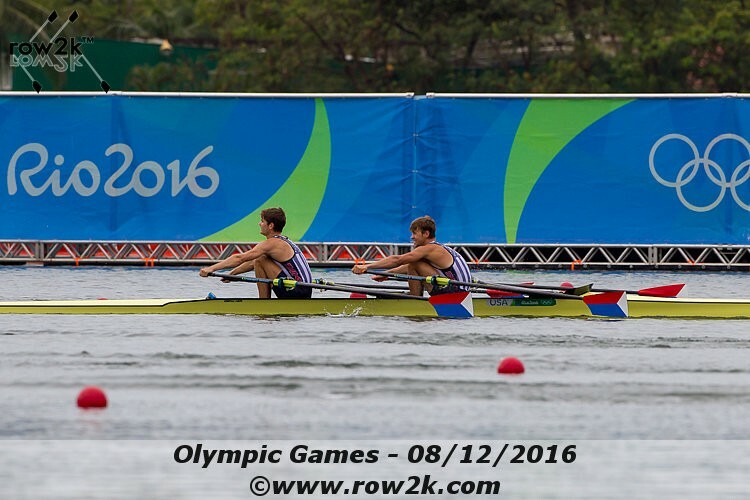 "Is lightweight rowing dying because the lightweight four isn't in the Olympics anymore? Or is that the American point of view? Or did it die because there is very little lightweight rowing in the United States, period? Saying that will bother a bunch of people who rowed lightweight. But they know it's true. "The point is, there are not that many lightweights. We may weigh about 350 lightweights at Dad Vail out of 3,500 athletes. From a regatta organizer point of view, it's a lot of work to deal with lightweights. There's a lot of paper work that goes along with it. You have to weigh them in at the events, and they have their own separate events," he said. "Organizing and managing lightweights is a lot of work. I'm not saying it's not worth it, or we should do away with it because of that, but it's a lot of work and it's one of the things you have to remember. It just doesn't happen by itself." Even if the number of schools that do have lightweight programs has shrunk, in the EARC and in a few other schools that have varsity programs, the feeling is lightweight rowing is not just surviving, but thriving. And, for the coaches and athletes, the future of collegiate lightweights has little to do with the elimination of Olympic and World Championships events, or the questions that have enveloped junior rowing. According to college coaches, rowing lightweight in high school does not move a recruit higher on a school's prospective athlete list, and it doesn't hurt either. Colleges are looking for skilled athletes that can row, and many of the more natural lightweights that row on the collegiate level rowed on their school open weight team, coaches said. "The tradition and legacy of lightweight rowing in the States is exceptional, and racing speeds are faster as the influx of talent meet up with advanced training, biometric science and leadership training," said Cornell's Kerber. "Each one of these components is contributing to marginal gains. The top programs are funded and backed by athletic departments and alumni and affinity groups. There are likely wrinkles ahead for lightweights program as athletic departments continue to evaluate revenue and mission. "It's changing, that's for sure," Kerber said. "It's changed quite a bit in the last 20 years. The Dad Vail used to be full of lightweight events, with heats and semi-finals and finals. Those days are what I consider the heyday of club rowing, with some Division I programs. I think that's well over, since some events are final only. But what that's done is made our league, the EARC, all the more competitive." Kerber noted that the idea that the light four was added to the Olympics to enable countries that can't sustain a larger team to compete in the Olympic regatta, was undermined by the competitive level of the event, as light men's fours posted times rivalling and surpassing those of men's heavy fours; for some time the men's four world best time was held by the Danish light men's four. "The loss of the light straight four was sad," he said. Kerber said the addition of the men's lightweight four at the Atlanta Games, "created the most competitive event in the Olympic program. With each World Championship and Olympics, we basically raced ourselves out of existence." However, Kerber and his fellow Sprints league coaches noted that at the collegiate level, the desire to row lightweight was more about having a rewarding collegiate experience, and less about developing toward an Olympic dream. "I'm a program of five eights," said Boyce. "At least four, if not four and a half, of those eights, most of those guys have no plans to continue rowing after college. "They are here to get an education. They're here to get their careers going. Most of these guys are going to go work in finance, or go to law school, or go to medical school, or something like that, and so they're not disappointed by any means (at the lack of elite opportunities) because it was never really their plan." Said Crotty, "It's a mistake to continue to write this narrative about people that are rowing so they can be in the Olympics. I don't think that's fair. We're not doing ourselves any favors if we want to keep writing that down on paper." While lightweight collegiate rowing is in a healthy enough situation as it exists in the EARC, it would be a mistake to believe that it can't exist in other universities, or that new opportunities aren't being developed. On the women's side, schools like Tulsa, Stanford, Wisconsin and BU are pushing to expand lightweight women's sculling. The women's lightweight double is already included as an event at the IRA, and expanding sculling is a discussion that is taking place. "As lightweight coaches, we are actually just starting the conversation about finding more opportunity, at least on the Eastern Sprints side of things, the conference championship. We'll potentially look at changing the lineup of (regular season) events to mimic the championship a little bit more, fielding a double earlier," said Wisconsin's Mattison. "We're talking about starting kids sculling, being in competitive sculling situations earlier on." Outside of the EARC, there are already vibrant lightweight men's programs at schools like Mercyhurst and Delaware, and schools with predominately heavyweight men's varsity teams are looking for ways to develop a lightweight team. Temple University is one of those schools. Sean McKenna is the lightweight coach at the Philadelphia school, and McKenna has a lightweight team. But, by definition, Temple is a heavyweight men's program, and every other crew is developed and raced with the idea that it exists to support the fastest varsity heavyweight possible. "At the functional systems level, we operate very closely with the heavyweight team, to the degree I'll swap guys in and out, my extras will row in heavyweight boats," McKenna said. "We follow the priority of the varsity heavyweight is the fastest boat that's going to come out of the Temple boathouse. Heavyweights, lightweights, freshmen, all those things go into the seating of the varsity heavyweight eight. "In theory, if I have a very fast lightweight who can improve the speed of the varsity heavyweight eight, he moves up into that bucket. That's the only boat that will pick from our lightweight team. But that's never happened." McKenna said Temple, despite the priority of the varsity heavy eight, is serious about having a competitive lightweight component and is seeking races against crews in the Sprints league. "This year, I've had a lot more interest from other crews," he said. "Dartmouth reached out for us to hop into a duel. Delaware is always looking to get races in, because we're nearby. I think the Sprints league didn't know we existed is pretty much what that comes down to. "Now that they know we exist, they're more inclined to include us. And I think it helps lightweight rowing to have another varsity crew out there," McKenna said. "They're bringing us into the fold as an exhibition to their races. We'll race Princeton, Dartmouth and Delaware. We also have a dual with Georgetown. I think it's just a matter of publicity and getting the word out that our lightweights are serious, and we're here for the long-term. "That is helping to start our inclusion into the Sprints league races; we have no intention of being in the Sprints league. We're going to stay at the Dad Vails and use the Dad Vail as our qualifier to the IRA, and start moving ourselves up in the ranking towards the IRA. Just to point out, the sustainability of junior rowing isn't really being questioned. The lightweight events at Scholastic and Youth events are well entered in most parts of the country. The San Diego Crew Classic added a juniors lightweight eight some years back which is going strong. If anything lightweight rowing has been steadily growing along with juniors rowing (the number of entries went down over one year when the weight limit was lowered, but that makes sense as fewer athletes qualified). There are some USRowing officials who want to destroy lightweight rowing (I used to work with one longtime USRowing official, a large heavyweight rower, who would openly talk at meetings about wanting to disband all lightweight rowing), but if juniors lightweight rowing ends it will be because some people in power who wanted it gone successfully killed it, not because it died from lack of interest. To everyone who would like to do away with lightweights: please reconsider. If FISA wants to go off a cliff - let them. 1. Our concern needs to be the health and vitality and sustainability of rowing - generally - in the US. In the final analysis, this is mostly about money. Do you want more or less in the sport? 2. Junior programs benefit from MORE participation. 3. Junior programs benefit from more parents Junior programs benefit from more donors. 4. From every dimension, Jr. Lightweights ADD to rowing generally and do not distract from it. 5. The same can be said for collegiate lightweight rowing And US 'senior' lightweight rowing, and to a lesser extent masters rowing. 6. MORE is better. 7. Advocating for less makes no sense, at all, ever. While I will agree that heavy weight rowing will always take priority over light weight rowing, the numbers you used for the teams is a little misleading. At least on the west coast, most club teams will have at least one light weight boat. Seattle University, UCSB, Western Washington, Washington State, Southern California, UCLA, SDSU, Long Beach, Sac State, Santa Clara, Sonoma, UC Berkeley, Oregon State, UC Davis, UC Irvine, and Puget Sound all entered at least one light weight four, and 5 lightweight novice fours, at WIRA in 2017 (regional qualifiers for non-PAC 12 schools). Are there enough lightweights to make a full separate team? No, I will agree with that. But in most boat houses there are still a couple of lightweight guys and gals who are still passionate about racing, and want to do so in their weight class. While lightweight rowing will probably never rival heavy weights, I don't see that collegiate light weight rowing will ever lack passionate people who will race light weight events. Whether those light weight events are offered at races, that is a separate argument.